Pycnogenol®. New Research. Relief for Asthma Sufferers. Home → Supplements → Pycnogenol®. New Research. Relief for Asthma Sufferers. A new research study of Pycnogenol®, a powerful antioxidant, shows the natural supplement improves allergic asthma management by helping asthma patients reduce inhaler dosage, and doctor visits. Pycnogenol® is the exclusive isotonic ingredient found in OPC-3, a supplement I take on a daily basis because of its many health benefits. “A new study gives hope to the almost 25 million Americans suffering from asthma. Those afflicted with asthma know the discomfort of asthma symptoms, particularly dependence on an inhaler and awakening suddenly at night struggling to breathe. The study, published in Volume 53 of Panminerva Medica, found that natural supplement Pycnogenol® (pic-noj-en-all) – an antioxidant plant extract from the bark of the French maritime pine tree – improved control of allergic asthma, reducing night awakenings caused by asthma symptoms by nearly 50 percent. Asthma patients who used Pycnogenol® experienced reduced dependence on inhalation corticosteroid (ICS), which is commonly administered through an inhaler, and required less visits to a doctor due to asthma symptoms. · Pycnogenol® reduced night awakenings caused by asthma symptoms to only half the frequency as before, while no significant change was found for the control group. This study joins a wealth of other research regarding the benefits of Pycnogenol® for asthma management in both adults and children with mild to moderate asthma. Previous research has demonstrated the natural supplement’s antioxidant activity and powerful anti-inflammatory properties that work to combat the inflammatory processes of the bronchi that cause them to constrict and swell, making breathing difficult. Pycnogenol was shown in three clinical studies to lower leukotriene values, inflammatory mediators responsible for asthma symptoms, to some extent also inallergic rhinitis (hay-fever). Asthmatics experience periods of wheezy breathing and breathlessness with intervals of relative or complete freedom from symptoms. Antigenic substances such as pollen, mite in house dust and animal hair may challenge the immune system leading to airway obstruction, while chemical irritants like tobacco, smoke, and air pollution may also trigger symptoms. Pycnogenol® normalizes the immune response that can starve off harmful inflammation such as in asthma as well as hay-fever. 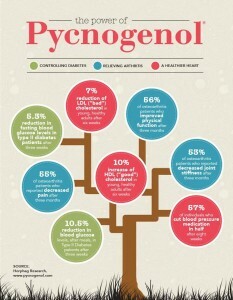 The Pycnogenol® I take and recommend is Isotonix OPC-3. Its isotonic delivery system increases the absorption of Pycnogenol® by the body and thereby increases the benefits. If you use OPC-3 for its many benefits, share them in the comments here. 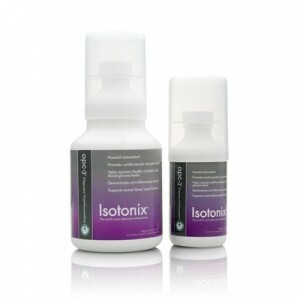 If you have any questions about Isotonix OPC-3, feel free to email me.